Find your perfect Malbec with Wines Direct. Use our search options for the ultimate pick. Compare current UK prices and sign up to Price Alerts to be the first to know about new offers. Have a look at Price History, awards and reviews to make the best choice for you. Malbec is a thin skinned black grape, whose origins are in the south west of France, but which has risen to fame, as the ‘national grape’ of Argentina. A grape, that requires lots of sunshine and heat to fully ripen, it is perfectly suited to the hot Argentine climate, where it is viewed as simply the best wine to go with what can only be described as their national dish, steak. In France, it is still the main grape grown in Cahors, where it is sometimes knows as Cot Noir, and produces big, bold, rustic wines, which can be harsh if the weather patterns change and the grapes do not ripen fully. The styles that the grape produces in France and Argentina are very different, with the latter seeming to work better and be more suited to the UK palate, with its rich, deep, spicy style. Malbec is not a wine for the faint-hearted, it’s definitely a food wine, and packs a punch with its intensity, power, relatively high alcohol levels and richness. Malbec first came to prominence as part of the Bordeaux blends in the 19th century, and although there are stories that it originated in Burgundy, it is definitely a grape, which is associated with south western France, especially Cahors. In Bordeaux, Malbec used to be one of the key components of Bordeaux reds, however it has faded from significance since many of the vineyards were replanted in 1956 after a very severe frost destroyed many of the vineyards. It was a grape that was hard work in Bordeaux, as it was both susceptible to frost, and also needed a great deal of heat and sun to mature fully, which was not always possible in Bordeaux. It is still 'the' grape of Cahors, with AC regulations requiring it to be a minimum 70% of the blend. In Cahors it produces dense, dark, powerful wines, with high alcohol and tannins, which can be very strong, and rustic in style. Definitely food wines. Malbec is also used in small proportions in Bergerac and other south western French regions, and a tiny bit is found in the Loire. However, it is Argentina that has brought this dark, brooding grape to fame and prominence in the last 10 years. Malbec was first brought to Argentina in the 19th century, along with many other French grape varieties, but this one in particular showed success, and suited the climate. Until the late 70s, Malbec was used as a component for local jug wine, and it was only in the 80s, when the Argentine wine industry turned its focus to quality wine producer, that this grape became a real hero for Argentine wine producers, perfectly suited to both the climate and the topography. Today almost 25,000 hectares of vineyards in Argentina are planted with Malbec, compared to only 6,000 in France. What Does Malbec Taste Like? Malbec differs considerably in style, depending on where it is grown, but its trademark characteristics are its deep colour, and rich, intense, full-bodied style, and high alcohol levels. Grown mainly in Cahors, French Malbec produces a deep, black wine, very rustic in style, which often needs time to soften, and can be harsh and overly tannic in youth. At their best the wines are deep, brooding and full of character, with flavours of figs, smoke, tobacco and dark cherries, overlaid with a hefty hit of tannin. These are not wines for the faint-hearted. In Argentina, Malbec tends to produce, softer, juicier, more velvety and plush styles of red wine, partly because the climate suits the grape so much and ripens it to perfection. Malbec is grown in most of the wine producing regions of Argentina, but the key area is Mendoza, which nestles in the shadows of the majestic Andes mountains. At lower altitude, it produces high quantities of good, juicy and spicy red wines, often used as part of a blend, which are full of rich, vibrant fruit. It also produces some great, fruity dry Roses. The real quality and calibre of the Malbec is seen at its best when grown at slightly higher altitude, especially in the foothills of the Andes, where the grape skin thickens, the grapes take longer to ripen, and they produce intensely rich and concentrated wines, yet all with characteristic velvety, spicy ripeness. What Does Malbec Go With? Malbec is without doubt a food wine; it’s big, meaty, spicy and very full on, and full of power and character. In France, in its guise as the burly Cahors wine, it is superb with rich, braised meat dishes, confit duck, cassoulet, venison and mature cheeses. Argentina is famous for its beef/steak – and Malbec is the natural (and national) wine match; the rich, violet and mocha scented wines are superb with top quality steak, and all manner of barbecued red meats, since it copes well with spices also. 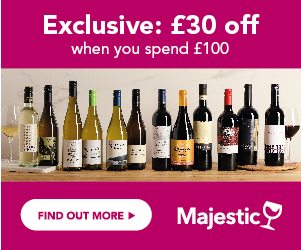 Malbec is superb with roast beef, chargrilled lamb and rich game dishes, but works equally well with spiced up meatballs, Mexican beef fajitas and chilli con carne. Its natural richness and spice makes it a good foil to red meat dishes with a bit of spice.